Expect a seamless signal path from the brand's flagship RCA interconnect. 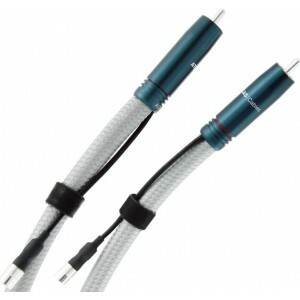 Showcasing super-pure silver connectors, this cable will allow the true character of your music to shine through. Earn 2950 loyalty points when you order this item. Atlas Asimi Grun Ultra RCA Interconnects is quite simply the best RCA interconnect cable in Atla have to offer. The cable's cutting-edge pure silver interconnect is designed to deliver the unadulterated character of your music without any fatiguing exaggerations of detail. Silver cables often have a reputation for poor sound quality, but the Asimi proves that the problem is with low-grade materials and poor manufacture. In a departure from this, the manufacturing of the Asimi maximises the silver’s conductivity. This is achieved by utilising one grain in approximately 125 metres of conductor, providing the signal with a continuous and seamless path. The signal enjoys an immaculate, more direct path to follow. which ensures the cable has maximum immunity to the effects of radio interference and noise.